World of Tanks Blitz: RNG got balanced! 12 Comments on World of Tanks Blitz: RNG got balanced! World of Tanks Blitz Update 4.6 will bring a massive change to the game: RNG! Yes, we all know that invisible hand called RNG, the same one who sends your shells to the wrong place or makes that shell with enough penetration to bounce. Wargaming has decided that it’s time to change, time to balance the RNG for penetration values. Starting from Update 4.6, the influence of Lady Luck on the battle outcome will diminish. In this version, we will decrease the penetration spread for all vehicles from 75–125% to 85–115%, and with the Penetration Boost skill activated, penetration will range from 100 to 115%. You read it right, shell penetration RNG is getting changed from 25% to 15%! This means a smaller variation on penetration values, for example, if your shell could penetrate 100mm, instead of the normal 75-125mm variation, we will get 85-115mm. If the game proves to be more balanced after these changes, maybe Wargaming will consider implementing it to World of Tanks PC? Maybe even to apply the same changes to the damage system? 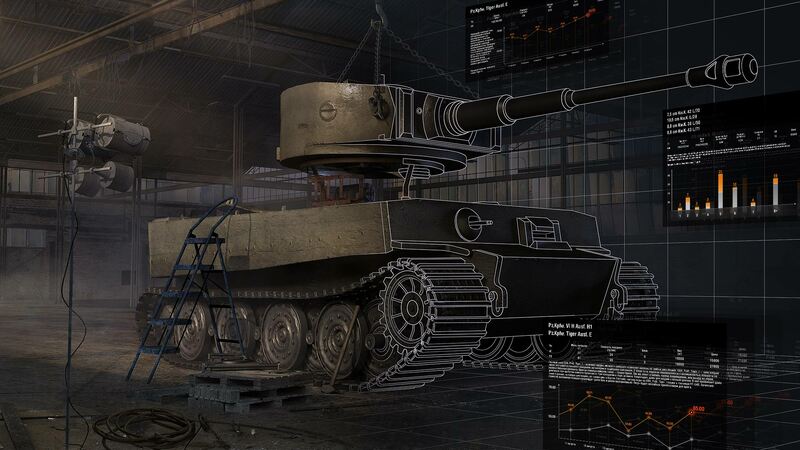 We can’t tell for now, but would these changes be welcomed to World of Tanks PC? Defenitly it will be great!! all RNG of the game should be no more then 15%, and i think the Pen should be even smaller, like 10%. The only exception to this i think should be the Cluch shots. Those can keep the 25%RNG. If a player totaly aim the shot the RNG should be smaller then the unaimed cluch shots. This change of penetration RNG won’t have much effect on the gameplay, but that penetration boost perk might. With alpha damage RNG, it should also get nerfed to +-15%, it’s just crazy as it is now, for example I would’ve won a match in Team Battles if a certain Skorpion (it’s always a Skorpion) hadn’t rolled for 573 damage on my tank with an AP shell…killing me. I’ve seen 600 damage rolls from those things, that’s just broken in my opinion. Accuracy RNG needs a COMPLETE change to how it works…when a tank is moving at full speed, it should never be able to hit a target directly, it’s completely unrealistic and just unfair for the receiving end. Make a hole in the center of the aim circle where shells just don’t hit when a tank is moving at over 10km/h. As soon as a tank stops, it should regain full accuracy (relevant to the tank’s gun) within 1-1.5 sec, because if I aim at a target, I’m already pointing my gun at it, and I don’t expect my gun to require some sort of BS accuracy concentration mechanic, after which I end up missing anyway. Aiming over ridgelines is another problem entirely, unrelated to RNG, but I would much prefer an aiming system like in War Thunder where you have to compensate for shell dropoff over range. The current system just aims at the map edge, resulting in the shell flying far above the ridgeline, an unwanted result. I understand it’s simpler for newer players… it’s just not practical for a skilled player, so MAYBE it would be possible to change between the two aiming types in settings or with a button? Gun stabilizers, some vehicles in WT have them. Definitely easy change that could be tested on sandbox PC 2 years ago. I hope they implement it to the PC version. My god yes, they need to do this on PC. Of course! We have been asking for a reduction in RNG for ages, now. It gives me hope they are willing to try it, at the very least. Blitz is developing much faster than WoT in many ways. Example: Blitz had the option of two guns, second one with increased pen and decrease dpm, for old premium tanks like is-6, kv-5 etc. But this has yet to be implemented in Wot after ~2 years in Blitz. I would love these kind of changes in Wot, but judging from how slow they have been it will take another 2 years?